Affirmations are one of the most powerful methods of self-healing, especially within the new energy that has emerged on the planet. More than ever before, your body, mind, heart and soul is constantly listening for your instructions. 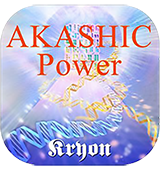 While traditional affirmations are powerful, the affirmations within this app are designed to help you remember and use your magnificence to enhance your eternal connection with the Creative Source. 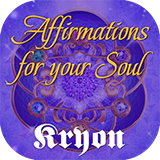 Monika Muranyi, author of the special compiled Kryon book trilogy, has carefully created the Affirmations for Your Soul App in collaboration with Lee Carroll and KRYON. Welcome to the New Human on the New Earth! This Affirmations for Your Soul app features 105 cards in many categories: health, relationships, business and money, life-purpose, finding peace and more. Special features include an audio recording of each affirmation from Monika Muranyi and Lee Carroll, in addition to a special Kryon channelled message. Have you ever wondered about where your personality comes from? What about your fears and phobias? Is it possible that you have lived before? What if you could tap into your past lives and access hidden talents, wisdom and knowledge? Interested? That is what this app is all about. Think about all the lifetimes you have lived, and about all the wisdom, knowledge and spiritual learning you may have gained. All of this information is stored within your spiritual jar, known as the Akash. Your Akash is a gold mine of your own history waiting to be opened. This door opens when you give intent. Just by working with this app, you have already begun a spiritual process of mining your Akash. Spirit sees your intent, as well as the esoteric energy within your body. What are the next steps? The answer is simple: Listen to the channelled messages, as often as you can, as given by Lee Carroll. Use this app to record what is important to you. Give a daily intention and meditation to change the things in your life, to what you desire them to be.